The coverage of a new natural catastrophe every few months doesn't do much to encourage positive changes in our everyday lives. Rather, at least for me, feelings of hopelessness and stress tend to arise. The environmental changes we're currently facing seem so great and out of our control, but with each small adjustment in our everyday lives, the Earth can only benefit. Sustainability can seem intimidating and at times even expensive, but it doesn't have to be. The number one step to positively impacting the planet is just to start, and you can start small. It's understandable that we can't all just jump into being completely waste free. However, one of the easiest ways to begin reversing the destruction of the planet is something more manageable than starting a compost or even cutting plastic; it's with what we wear. Shopping sustainably doesn't always mean shopping from expensive brands with environmental policies through and through. We can begin by just buying less. It can feel so good and even therapeutic to get something shiny and new, but resisting the urge to buy things we don't need helps the environment and our bank accounts. 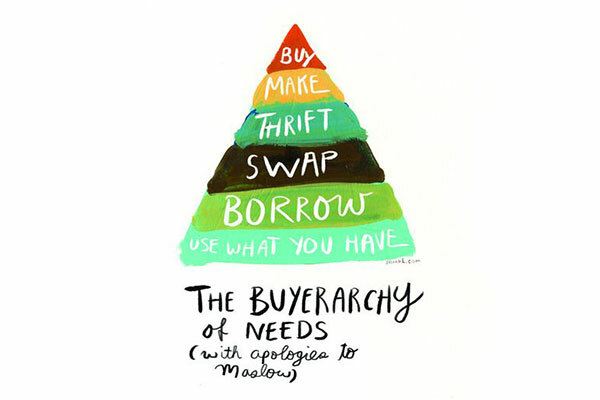 With each new top you buy, you affirm brands constant loop of creating cheap, unsustainable clothing, stuffing your closet and the landfills. 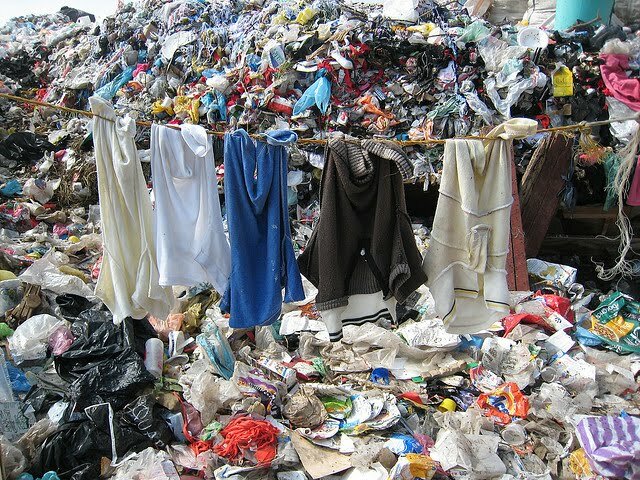 Recent studies have shown that cheap fabrics in the clothes we wear give off thousands of tiny plastic microfibers when washed that travel through our sewage system and go into our oceans. Eventually, these microfibers are ingested by sea creatures that we eat. One thing you and I both know for sure is that plastic is definitely not meant for human consumption. 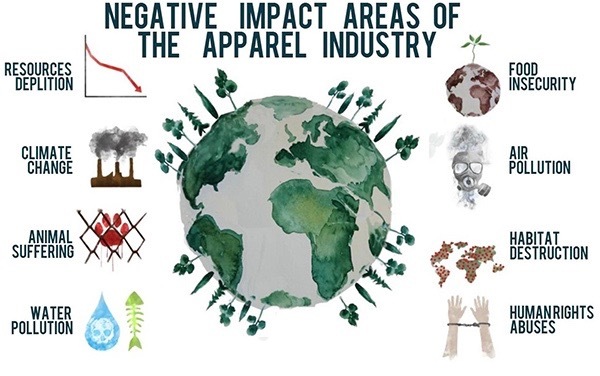 There are plenty of ways to reduce this, but you've got to know your fabrics! Alternatives to harmful fabrics like nylon and polyester include organic cotton (yes, it's different from ordinary cotton), hemp, soy cashmere, and linen. Knowing what your shirt is made of is a small action that packs a huge punch. One of the best (and cheapest) ways to help out Mother Earth is to shop second hand. Often overlooked, a place to find gems for cheap is at an estate sale. Estate Sales are usually homes of the elderly who have passed away and have more than their families can take. Maybe it seems slightly morbid, but many of these closets are filled with beautiful vintage pieces that their loved ones don't want and sell for ridiculously low prices. Pro tip: search for estate sales in wealthy neighborhoods. Because the clothing and accessories already exist by shopping second hand you give a piece a new life, instead of sending it to a landfill. Classic thrifting has become increasingly popular which is an excellent thing for the planet, but maybe not such a great thing for your wallet. If you live in a big city, many thrift stores have popped up in hip areas, and those preexisting have become increasingly more expensive. To find unique pieces without breaking the bank, check out thrift stores in less popular areas as well as family owned vintage stores. The perfectly worn-in pair Levi's 501's you've been dreaming of may not be hanging up on the first rack as soon as you walk in, but the search for something unique will be worth it. However, try not to overshop! Many people rely on thrift and budget stores to sustain their wardrobes for economic reasons, so try to only buy what you need. The online megastore, Depop, and with micro shops on Instagram have also made it increasingly easy to find what we are looking for more sustainably. Our dollar is one of the most potent weapons we have, and by buying something used, less money goes to corporations that are not planet friendly. The UN reported last June that the highest global temperatures occurred in the five months before. While the Earth warming doesn't directly start fires or create hurricanes, these small increases in global temperatures tamper with our ever-fragile ecosystem. There are few things better than running into a body of cool and clean water during the summer or taking a hike in an evergreen forest. I hope that those who come after us will be able to take part in these simple joys. Let's shop this holiday season with our shared home, and its future in mind.